The directors of the Music Producers Guild Awards are proud to announce that Recording Artist, Songwriter, Producer and Grammy Award winning Recording Engineer, Imogen Heap will be the recipient of the 2018 Inspiration Award. This prestigious award, sponsored by Audio Note, is given to a recording professional who, in the opinion of the MPG Awards board of directors, is responsible for a body of work that has significantly inspired others. Previous recipients have included Nile Rodgers, Roni Size, Damon Albarn, Glyn Johns and Sylvia Massy. It will be presented at the MPG�s 2018 Awards Ceremony, which takes place at Grosvenor House, London, on March 1st 2018. Imogen's many achievements include several internationally successful albums as a solo recording artist, the composition of songs and original score for feature films, music for the west-end play Harry Potter And The Cursed Child and a coveted Ivor Novello Award for song-writing. She is also the only female artist to have won a Grammy� for engineering. In recent years she has designed and produced Mi-Mu musical gloves that combine unique gestural vocabulary, motion data-capture systems and user interfaces allowing her to sculpt and manipulate sound on stage as she performs computer-based digital creations. 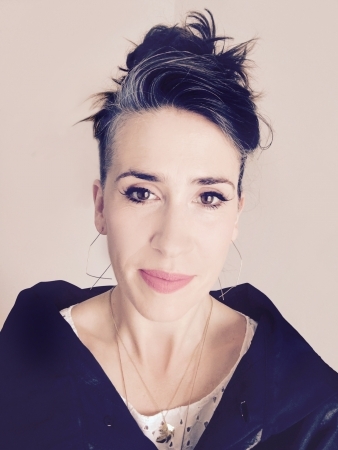 The directors of the Music Producers Guild Awards agree without reservation that Imogen Heap is an exceptionally worthy recipient of the 2018 MPG Inspiration Award.